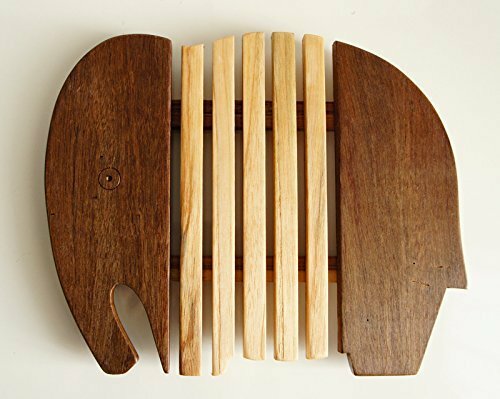 Eco Friendly Wood Elephant Trivet for Heat Resistance Hot Pad. Product prices and availability are accurate as of 2019-03-29 15:20:41 EDT and are subject to change. Any price and availability information displayed on http://www.amazon.com/ at the time of purchase will apply to the purchase of this product. 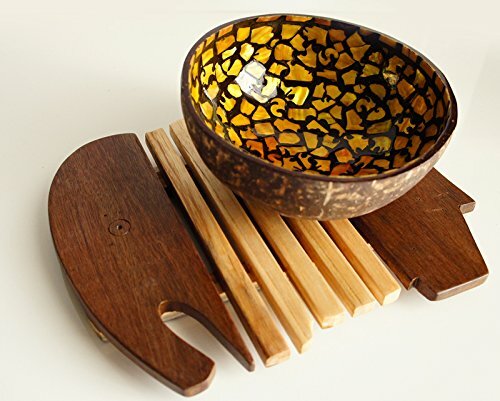 Placed between a serving dish or bowl, and a dining table, usually to protect the table from heat or water damage with Animal collection design. 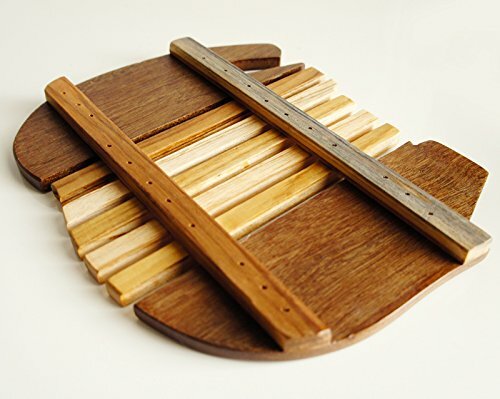 Made of Hard Wood- A renewable resource. Natural wood stain Color. Use as Hot plate holder/Hot pad/ Pot holder or for kitchen utensils and accessories Handmade ,Eco friendly 100%,Safe, durable, and easy to clean. Set includes: one elephant design trivet .Dimensions: 9" x8" . Weight 11.06 Oz. Produce and Ship from Thailand via registered airmail with tracking number 2-4 weeks or less than to delivery.